Whether it’s updating your fantasy football lineup, downloading tickets for the game, or streaming an important matchup while out and about, nearly everything that has made being a sports fan on the go more convenient requires a fast mobile connection. Most of us remember the dark ages circa 2010, when such mobile conveniences were hindered by frustratingly slow data. But with the birth of 4G came faster speeds and better reliability that made monumental improvements to the day-to-day life of sports fans — including never missing a ninth inning or a buzzer shot again. So, what happens when the speed of our current networks dramatically increases once again? According to the experts we interviewed from both inside and outside the sporting world, some very cool things. As 5G technology continues to make its way into the wild, these experts predict a total paradigm shift in how we view, share, and interact with our favorite sports in the coming years. From the stadium to the living room, the incredible speed and low latency of 5G will forever change the way we experience sports. It’s apparent that 5G networks have several dramatic benefits over the current 4G networks deployed around the globe. On the high end, the technology brings up to 20 times the speed — up to 20 Gigabits per-second (Gbps) — to mobile users. Even on the lower end, it can reliably provide speeds at 100Mbps, which still ranks about five times faster than the majority of home internet connections according to a report from Akamai Technologies from 2017. Such increases in speed will mean dramatically improved stability when it comes to portable data streaming, especially for things that use a lot of data, like high-quality video and audio. But 5G isn’t just faster, it also offers significantly lower latency, or response time from source to receiver. While 4G internet has about 40ms (milliseconds) to 60ms of delay, data can be transmitted and received nearly instantly with 5G, going as low as 10ms, or in the best of cases, 1ms. When it comes to sports, such low latency means, among other things, you’ll be increasingly unlikely to hear your neighbor shouting about that touchdown or goal before you see it on your screen. 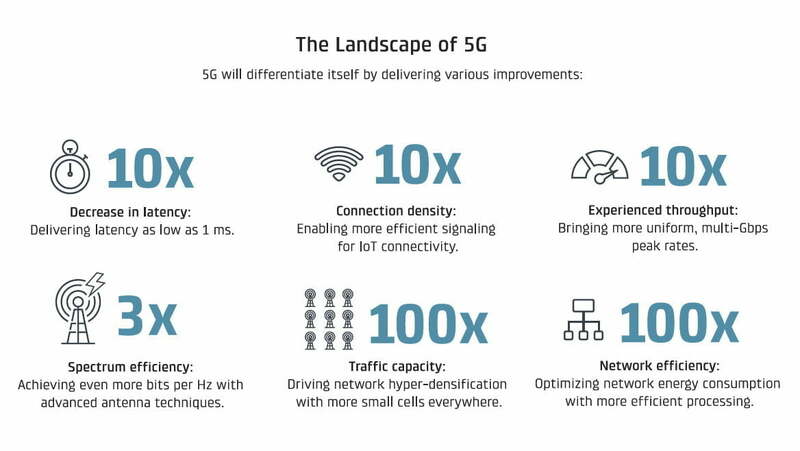 While 5G’s speed and low latency are amazing, its ability to function in more densely populated environments is another important element, meaning that, in theory, you’ll never have an issue sending that tweet, uploading that video, or posting to Instagram inside the stadium again. But such basic fixes to modern annoyances are really just the tip of the iceberg. With incredible speed, negligible latency, and the ability to function in the most densely populated spaces, there are a ton of very compelling new applications for 5G-enabled technology in the world of sports. So how can you expect your fan experience to be transformed through the power of 5G? 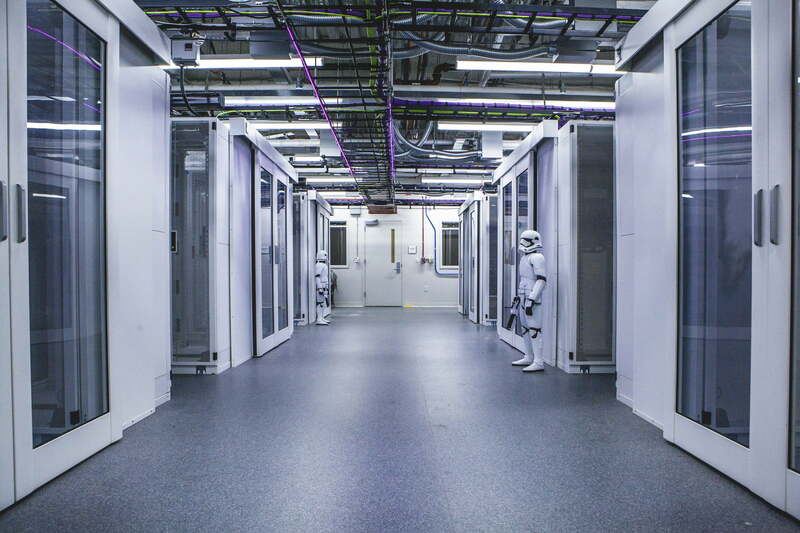 According to Nicki Palmer, Verizon’s head of Network Engineering, 5G means that high-quality, real-time virtual reality and augmented reality content will be increasingly available on portable devices. That includes Extended Reality ,or XR, which refers to a mix of real and virtual environments. VR will allow simulated real-time reactions in training environments, providing real benefits to players when they hit the field. Lower latency also means content creators have a bigger opportunity than ever for real-time interactions inside of virtual or augmented reality. 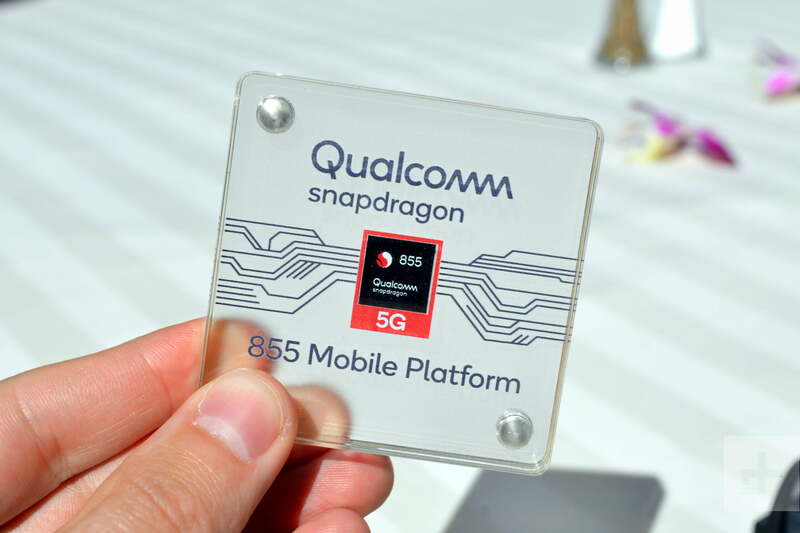 That may sound like a pipe dream — the kind of thing that you’ve been thinking about in some iteration since you were a kid playing your first video game — but it’s no exaggeration that 5G can deliver on these promises. In limited test cases, the technology already has. 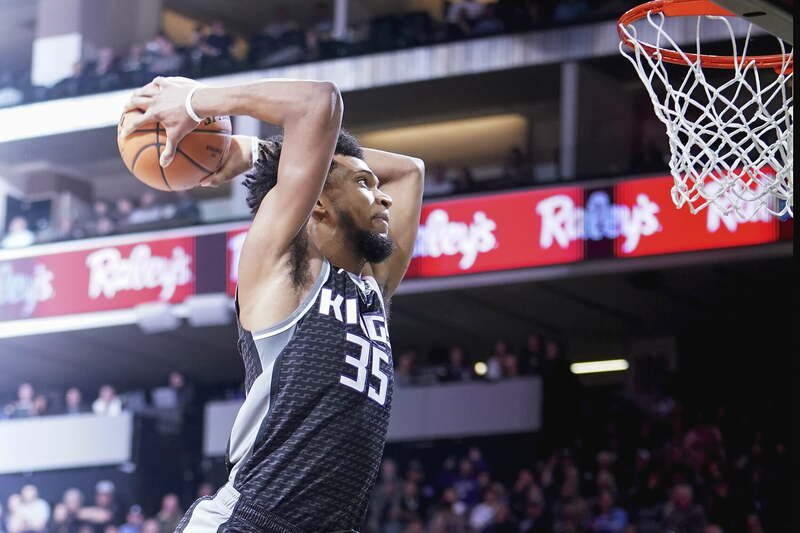 In late 2018, Verizon partnered with the Sacramento Kings to provide a group of students with simulated courtside seats to a game against the Los Angeles Lakers, offering them one of the earliest glimpses of 5G-based VR. The test went off without a hitch. The company has also done some very compelling testing when it comes to demonstrating the extreme low latency of its network. That includes strapping VR goggles to football players, basketball players, and even race car drivers if you can believe it, forcing them to play (or drive) in real time using only signals being sent over a 5G network from a camera affixed to their heads. Such tests aren’t just good for publicity, they actually have very compelling applications when it comes to training players in various sports, according to former NFL quarterback Trent Edwards. Edwards, who co-founded STRIVR Labs, uses virtual reality to train teams like the NFL’s Dallas Cowboys and college football’s Clemson Tigers. “The science behind everything we do says that once your brain is tricked into thinking that you’re actually there, it has a real impact on the brain,” he says, adding that VR would allow simulated real-time reactions in training environments and have real benefits to players when they hit the field. Beyond training athletes and providing fans with increasingly immersive viewing experiences, 5G could vastly improve the way we experience live sports. 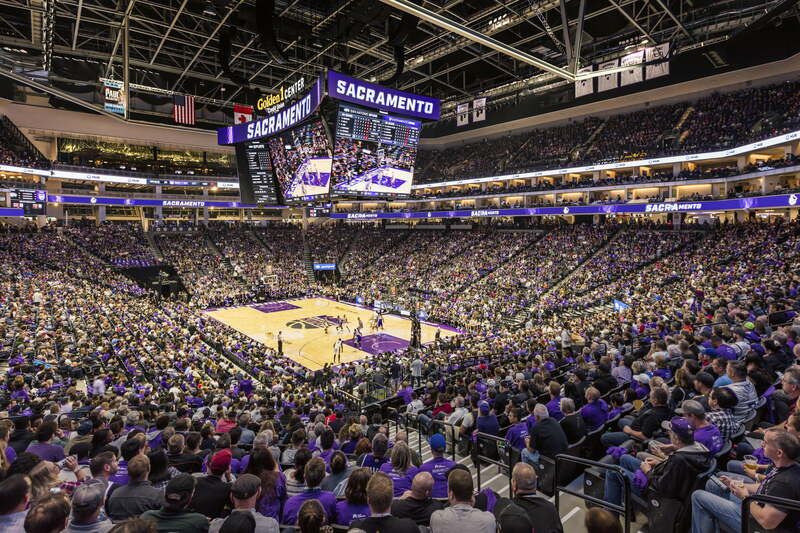 Perhaps no one on the planet knows more about the possibilities of a massive volume of high-speed data inside a sports stadium than Ryan Montoya, the Sacramento Kings’ chief technology officer. The Kings’ Golden 1 Center, which has been hailed as the most technologically advanced stadium ever built, provides each of its 17,000 stadium-goers with a blazing-fast Wi-Fi connection. As such, the Golden 1 Center sits at the forefront of developing the next generation of apps and in-stadium data analysis, allowing fans to do everything from adjust the temperature of their individual seating sections via an app-based vote to finding the shortest concession lines. With 5G-enabled products actually starting to hit early adopters’ hands this year, the technology will soon begin to snowball. “We’re working with big tech companies as they come and use the arena as a test bed,” Montoya says. All of these applications will soon be available to other teams throughout the sporting world — including those without state-of-the-art facilities like the Golden 1 Center — and those teams are very interested in improving fan experiences. Montoya says more than 300 sports teams from around the world have toured the Golden 1 facility for inspiration on how they might improve their own stadiums once they have access to such a fast data infrastructure. How long until it’s here? We’re already seeing major headway in terms of 5G deployment. Verizon has launched 5G in four cities, and two major brands have announced cell phones with 5G capability in the first half of 2019, but it’s still going to be a while before 5G deploys widely to stadiums, homes, and cities across the United States. Still, with 5G-enabled products actually starting to hit early adopters’ hands this year, as far as Verizon is concerned, the technology will soon begin to snowball, much like 4G did. For its part, Verizon plans to continue to deploy the technology in more, as-yet-unannounced cities in 2019, hoping consumer demand strengthens as more 5G-enabled technology hits the marketplace. Who knows: Soon you and your pals may be able to sit in the stands together at the big game from almost anywhere in the world.